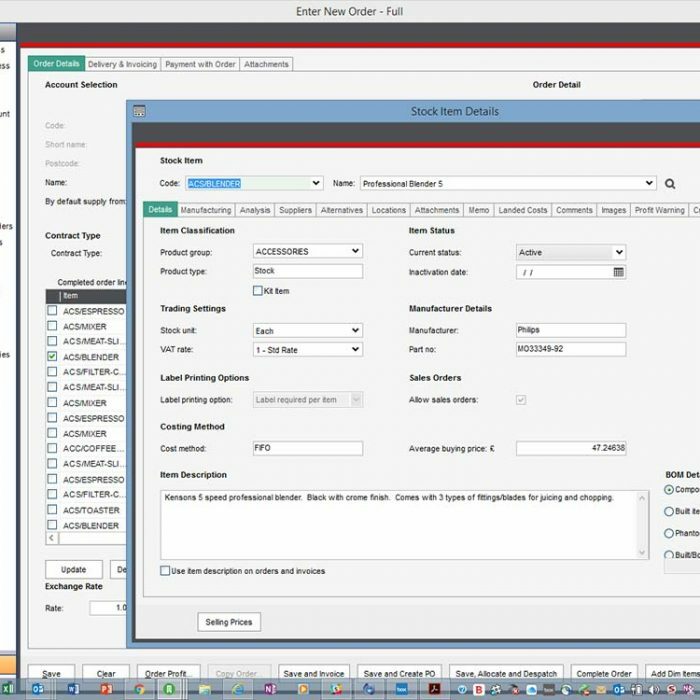 Sales Order Plus can increase sales, speed up order entry and ensures all customer and product information is available from one screen. 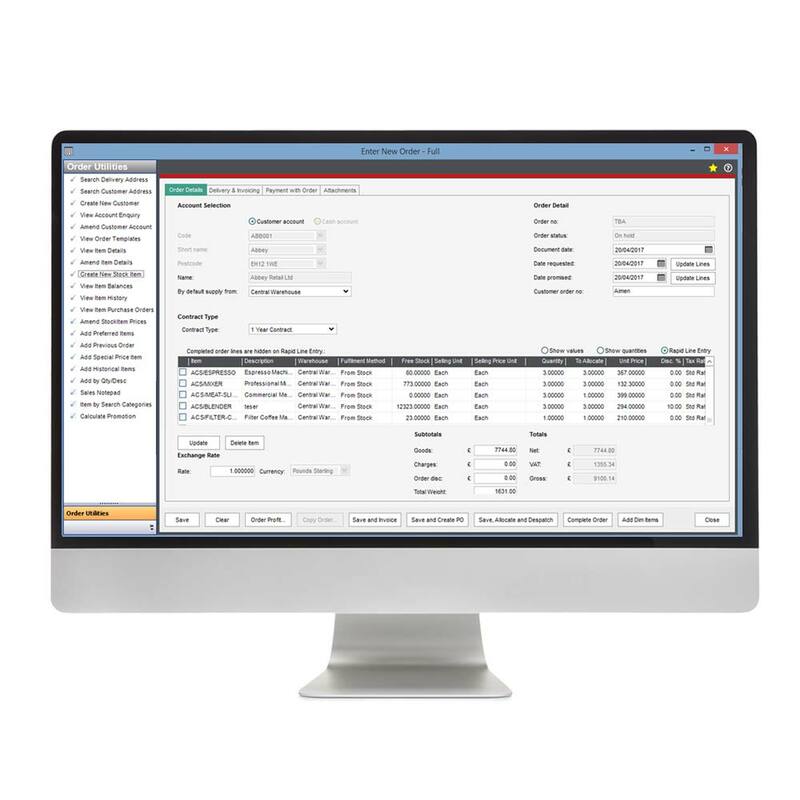 Fully integrated with Sage 200 our module is designed to streamline the sales order entry process, without losing any of the functionality of standard Sage 200. Sales Order Plus for Sage 200 has the potential to increase sales with its built-in cross selling prompts which encourage staff to maximise opportunities by offering additional complementary products. 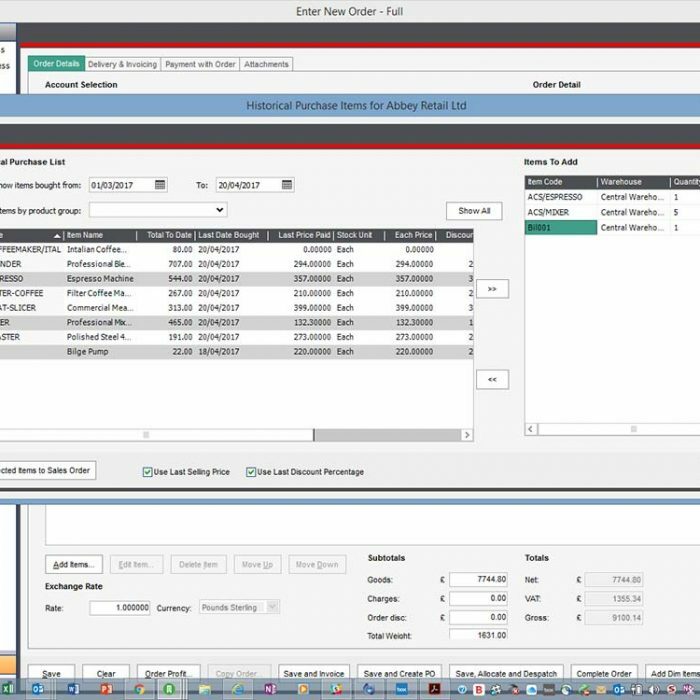 This solution can benefit any business which processes sales orders, particularly telesales and trade counter environments where rapid order entry and sales history information are vital. the Add Previous Order and Add Historical Item tools are great, Sales Order Plus saves us a great deal of time trawling through old orders to capture this information. Barcoding – allows you to set multiple barcodes against a stock item , with integrated barcode aliasing it turns your SOP screen into a true trade counter application. Any screen with stock lookup can be used with a barcode. Cross Sales (MMS134) – Alert users of associated products when entering an order e.g. torch and batteries. Base Module (MMS141) – Enhanced order entry screen. 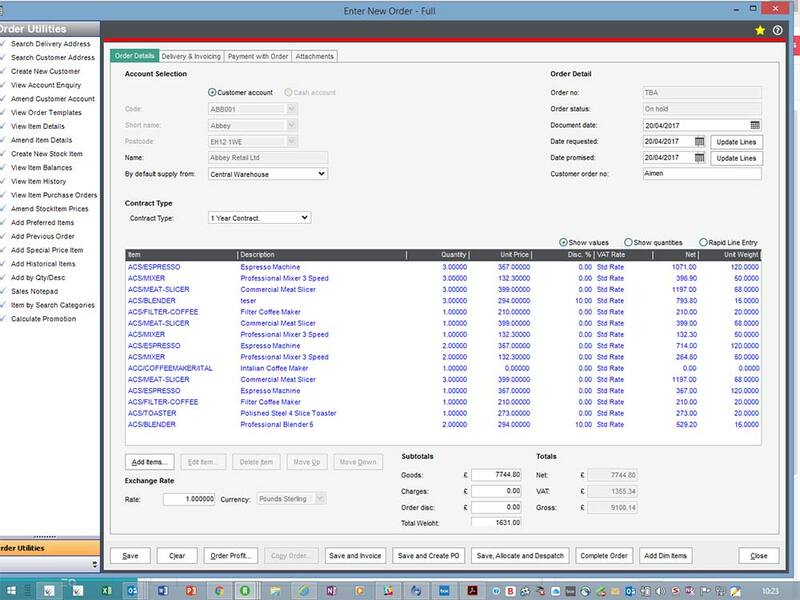 View Sales Account Details (MMS142) – Quick and easy access to the currently selected sales ledger account. Add Historical Items to Sales Orders (MMS156) – Allows previously purchased items to be viewed and added to the current sales order. 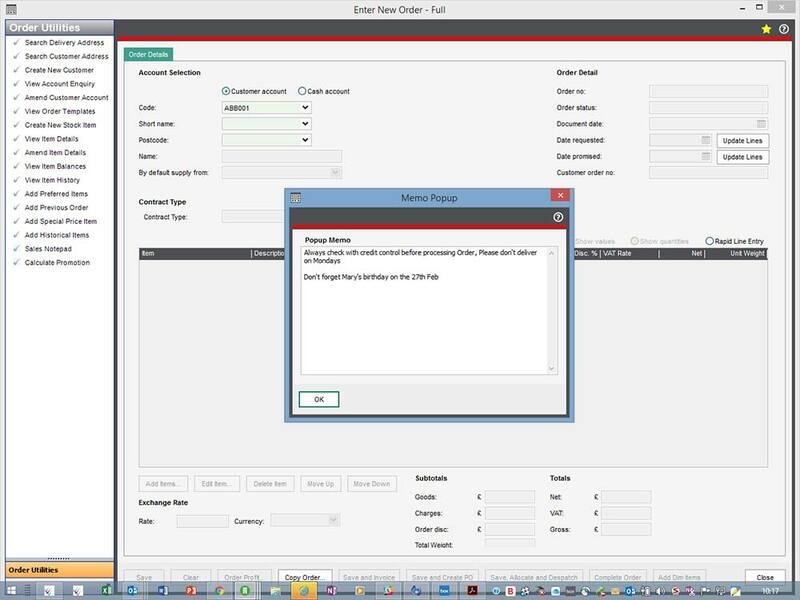 Sales Notepad (MMS197) – Allows order lines to be entered without selecting a customer. Add Preferred Items to Sales Orders (MMS145) – This module allows cusotmers’ “favourite” items to be added to the current order. 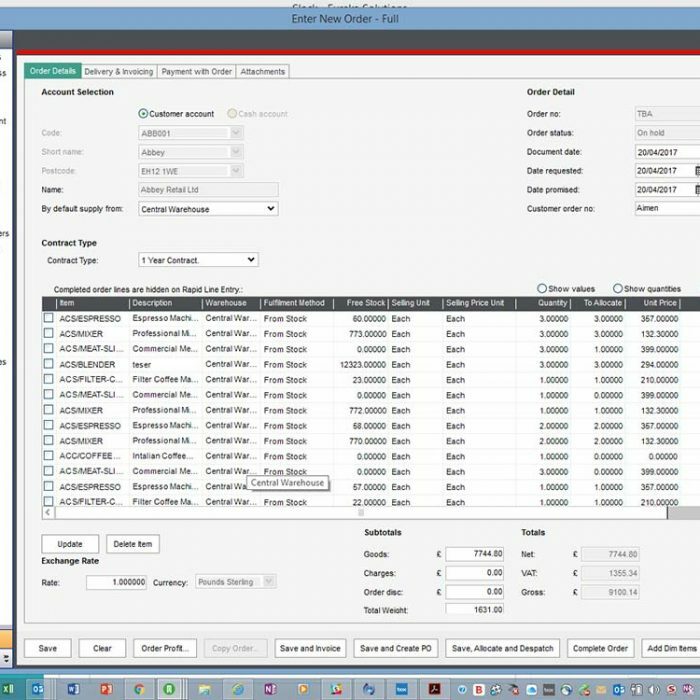 Rapid Sales Order Entry by Quantity and Description (MMS185) – Quickly enter multiple sales orders using quantity and product descriptions. 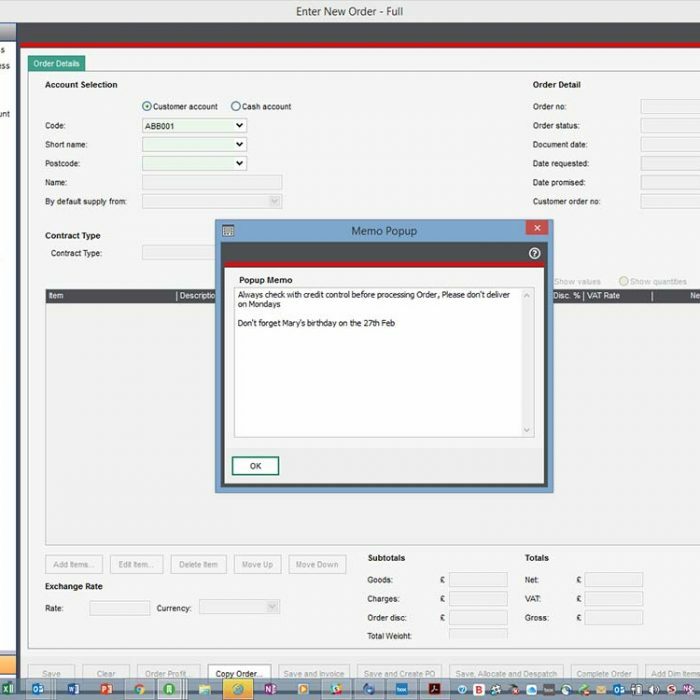 Add Previous items to Sales Order (MMS146) – gives users the functionality to replicate items from a previous order on a new one. Credit with Return (MMS357) – Gives you the ability to record the payment back to the customer at the point of entering the sales return. Add Special Price Item to Sales Order (MMS150) – Add items from special price lists for the current customer to a sales order. Sales Ledger Memo (MMS311) – Specific pop-up memos against individual sales ledger accounts within Sage 200. 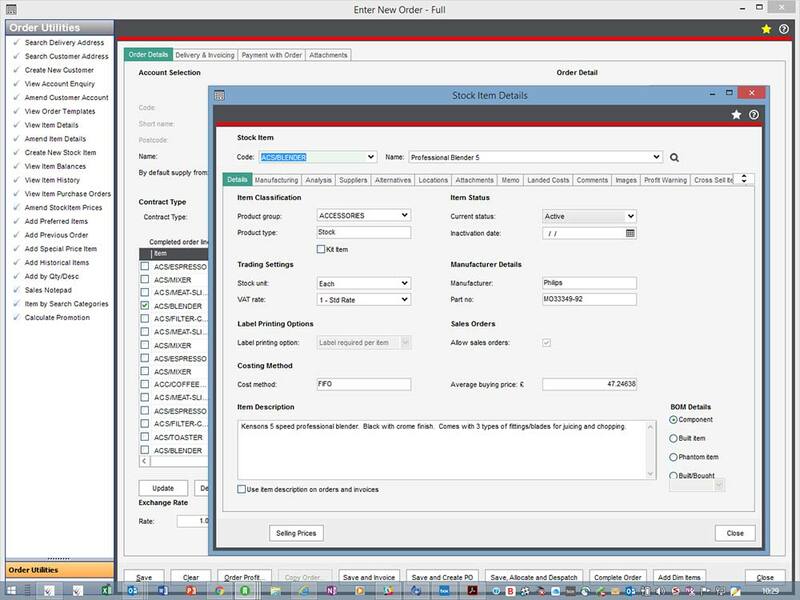 Stock Kitting (MMS353) – Allows you to create and maintain kit items from within Sage 200. Kits are collections of individual stock items which are sold together as one package, simply by entering the kit item code on the sales order. Save and Write-Off (MMS360) – Allows users to automatically write-off the items on a sales return at the point of confirming goods received if required. Search by Delivery Address (MMS155) – Select a customer by delivery address rather than account details within sales orders. Search Products by Category (MMS199) – Quickly search for products via search categories e.g. colour or style. 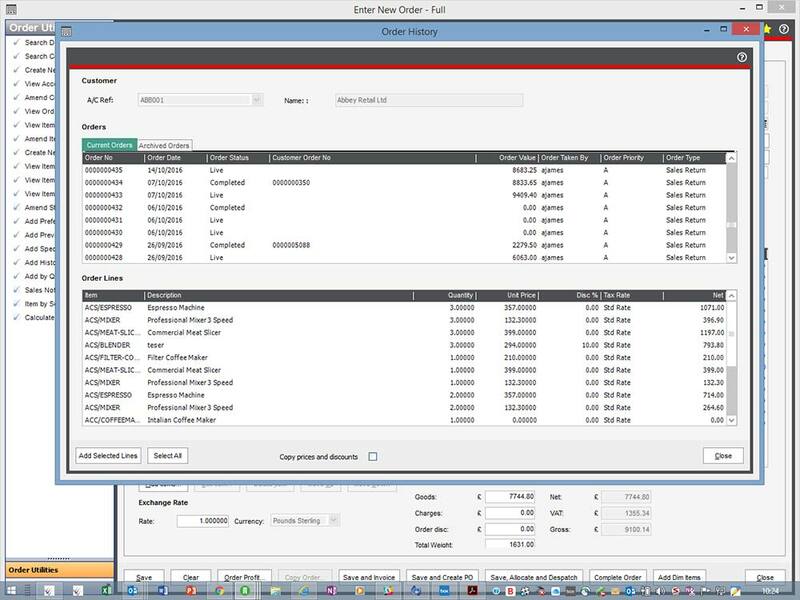 View Item Balances (MMS144) – Access to View Item Balances screen for the currently selected stock item on a sales order. View Item History (MMS147) – Access to stock item history for the currently selected stock item when entering sales orders. View Outstanding Purchase Orders (MMS301) – View purchase orders for the currently selected stock item when entering sales orders. View Sales Order Item Details (MMS143) – Access stock item details for the highlighted stock item on a sales order. 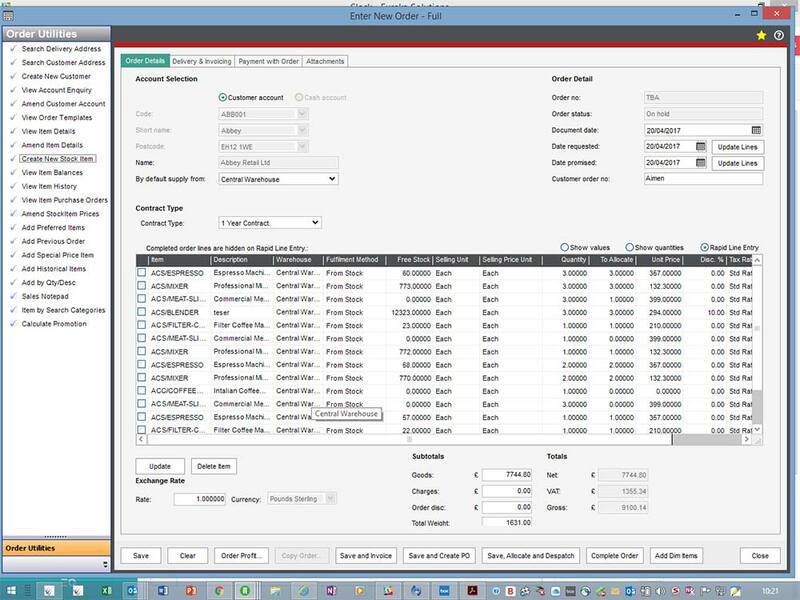 View Sales Order Templates (MMS148) – Easy access to standard sales order templates for the currently selected customer. Multiple Payments on SOP Order (MMS184) – Additional tab on the SO entry screen allowing users to record multiple payments, with different payment types. Amend Stock Item Prices (MMS302) – Allows Price Book prices to be amended while in a sales order. 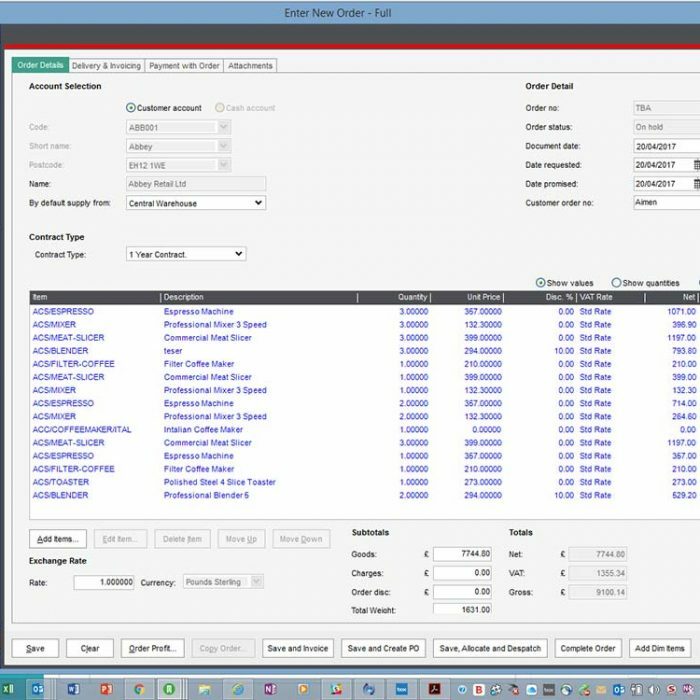 Save, Allocate, Despatch & Invoice (MMS312) – Allows users to allocate stock, confirm the despatch and invoice the order in one click. 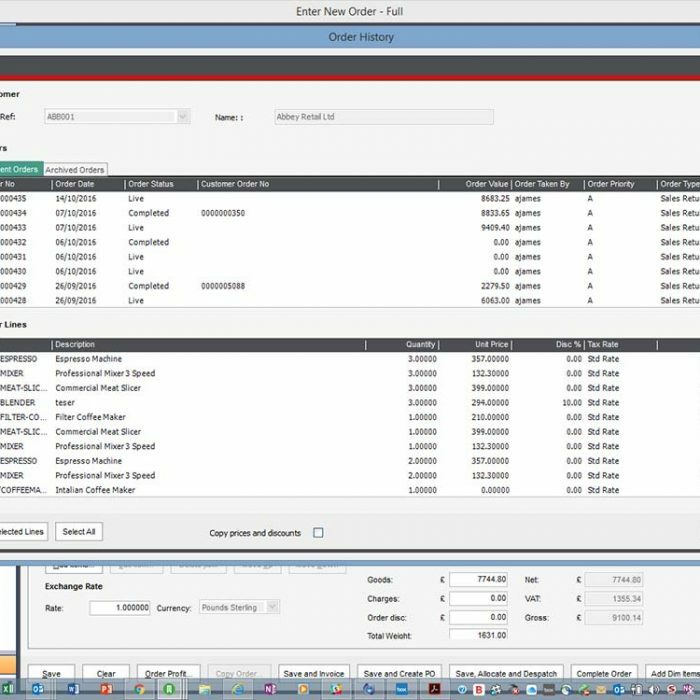 Sales Order Plus also includes our popular Plus Pack for Sage 200 at no additional cost, giving you access to over 80 further Addons to enhance your Sage 200 system. How Much Could Sales Order Plus Save You? *Please note, these calculations are based on the time saved processing orders Sales Orders with Sales Order Plus’ Rapid Order Entry capability, and is inclusive of £750 annual support and licence for this product. 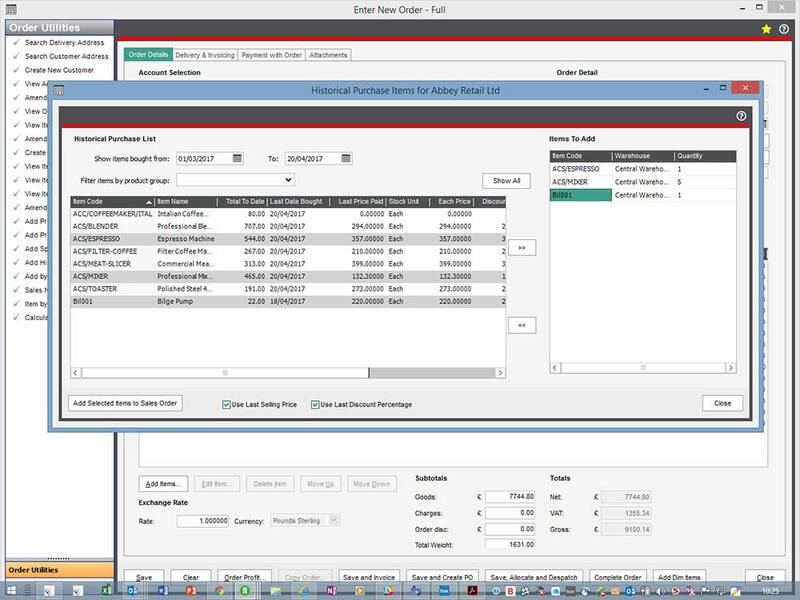 As well as Rapid Order Entry, Sales Order Plus has many other time-saving features. please get in touch to discuss your requirements or request a demonstration.